Hello, I own a X5 just wondering how much would it cost to get a new color? I bought a 2009 used x5, and the color was not great but the deal was good. I hear someone said that getting a new painting would cost 3k? $3k for a X5? Wow that's like half what a reusable body shop would charge. 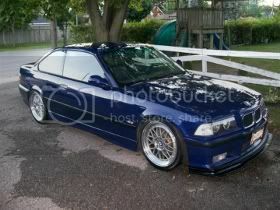 Expect closer to $6k-$8k for a proper BMW quality job, unless you want to deal with rusting and peeling paint. For 3k they might be plasti dipping the x5, I was recently quoted $2900 to re-spray front end and rear bumper. I think I paid around $3000 twenty years ago for a repaint using the same colour. vinyl wraps are an option as well.